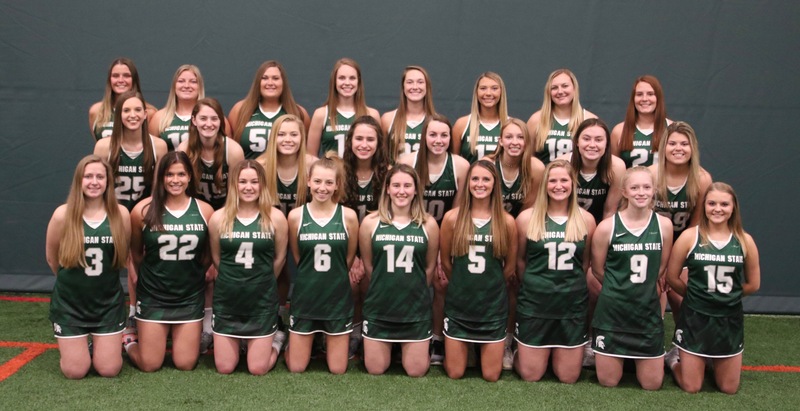 We at Michigan State University Women’s Club Lacrosse are conducting our 2019 Michigan State University Women’s Club Lacrosse Challenge to help generate financial support for our program. Our participants spend many long hours preparing to be the best they can be and are very deserving of your support. We appreciate any amount you can give and thank you in advance for your generous support! Your donation will contribute towards expenses required for game day attire, travel expenses, tournament fees and pre/post-game meals. We admit there is a lot of outstanding Spartan Women’s Lacrosse history missing…want to contribute to the site? Please contact us or easier yet, simply send us anything you’d like us to post. Send to: msuwomenslacrosse@gmail.com and we’ll do our best to update the site with your contributions! The Spartans improve to 4-3 with three solid wins last weekend over Marquette, Purdue and Ohio U. The 1-3 Spartans look to get back on track with 8 straight home games over the next 10 days, beginning this Saturday. Please come out and support the team! This weekend is the first of back to back weekends with multiple home games on campus for the Spartans! Three games are on tap this weekend at Ralph Young Field: Marquette kicks things off at 10am Saturday, followed by Purdue at 2pm. Then a single game on Sunday at noon against Ohio University.